There are a lot of things about turning 25 that can make you feel like you're dealing with a ticking time bomb. Not quite young enough to consider yourself "just out of college," yet still not quite old enough to spend all your free time worrying about mortgage rates and back pain, 25 is the first age where everyone seems to expect you to have figured it out, and you may be quietly losing your mind if you haven't. As the great philosopher Bridget Fonda said in the movie Singles, "Somewhere around 25, bizarre becomes immature." While that is a catchy quote, it is also total bullsh*t. Turning 25 isn't the cut-off to have the rest of your life figured out, or to be at your dream job or in your dream relationship. It's not even the cutoff for figuring out what your dream job or dream relationship are. Where you are at 25 isn't a referendum on where you'll be or what you'll accomplish over the rest of your life. If you don't believe me, just check out the list of famous women below. They definitely have a lot figured out these days -- and some of them had a lot figured out at 25 (ahem, ahem, looking in your direction, Oprah). But while they were all already impressive in their own ways, most of them were still years away from refining or even discovering the talents that would make them famous. So, if you're 25 and feel like you kind of have no idea what to do with your life, take solace: a lot of the women you admire felt that way at 25, too. Comedy star Melissa McCarthy was living in New York City at 25 and, in her own words, appearing in "very dramatic plays, very far off Broadway." It would still be a few more years before she decamped to LA and joined the Groundlings Theater comedy troupe where she honed her chops and began walking down the path that would bring her fame and an Oscar nomination. She didn't even make her film debut until the age of 29, when she had a small role in the movie Go. At 25, Academy award-winner Dench had recently completed her drama school training, and was performing Shakespeare in touring productions with the Old Vic Theatre company. She was still several years away from joining the Royal Shakespeare Company, winning a BAFTA award and becoming a star on the 1960s British theater scene. 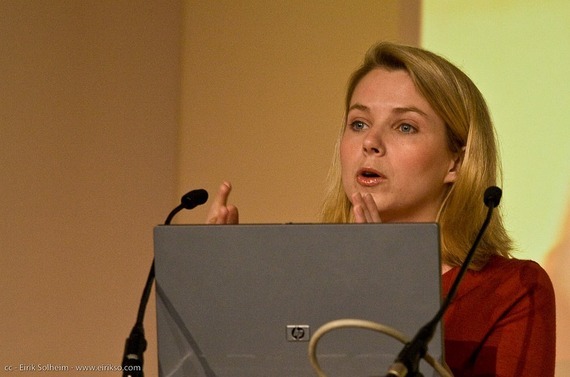 Yahoo president Mayer had just become Google's first female engineer (and 20th employee ever) at age 25. OK, so Oprah was already a badass. At 25, Winfrey had already had a few years of experience in front of the camera -- she had already co-anchored the evening news in Nashville and the six o'clock news in Baltimore. But she was still a few years away from hosting AM Chicago, the show where she truly began to make a name for herself. 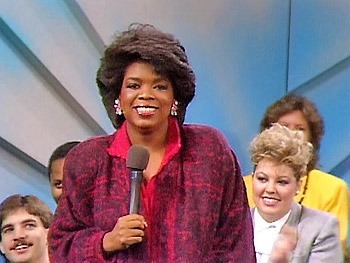 At 25, Oprah was hosting a Baltimore TV show called People Are Talking as well as a local spin-off of the show Dialing for Dollars. At 25, cultural icon Martha Stewart had recently quit modeling and given birth to her daughter, Alexis. She was about to begin work as a stockbroker at the boutique firm of Monness, Williams, and Sidel. Stewart didn't even begin to explore her domestic goddess side until her family relocated to Westport, Connecticut in 1972. Actress, comedian and View cohost Whoppi Goldberg was working in theater productions in East Berlin and training in acting in New York City under Uta Hagen around the age of 25. She had also already married and divorced and was raising a daughter, Alexandrea, who was 8 at the time. Goldberg's one-woman show, Whoopi Goldberg, which took her to Broadway and on to film stardom, was still a few years in the future. Comedy legend Rivers was working in an office by day, while trying out acting at night at 25. She would star in a play called Driftwood with the then-equally unknown Barbra Streisand the next year, in 1959, and was still years away from becoming the toast of the New York City comedy scene. At 25, Facebook COO, author and activist Sandberg had just earned her MBA at Harvard after graduating with a degree in economics several years prior. She went on to work as a consultant and in the Clinton White House, and didn't get involved in the tech world until 2001. Oscar nominee Adams was living in Minnesota, where she performed in local theater and had recently landed her first film role, a supporting part in the Kirsten Dunst movie Drop Dead Gorgeous. After the film wrapped, Adams moved to Los Angeles, a time she described as a "dark year" and "bleak," filled with acting projects that didn't pan out. The multi-talented, Pulitzer Prize-nominated Angelou was as a singer, performer and modern dancer in her twenties, working with a young Alvin Ailey, studying under Martha Graham, and appearing as "Miss Calypso" in the 1957 film Calypso Heat Wave. She wouldn't begin focusing on her writing career until she was in her early 30s. Nobel and Pulitzer Prize winner Morrison was an English professor at Texas Southern University at 25 -- still several years from working at Howard University, where she began her fiction writing career. The comedy pioneer was an RKO Radio Pictures contract player at 25, showing up in small roles in a number of films, including a Three Stooges movie. 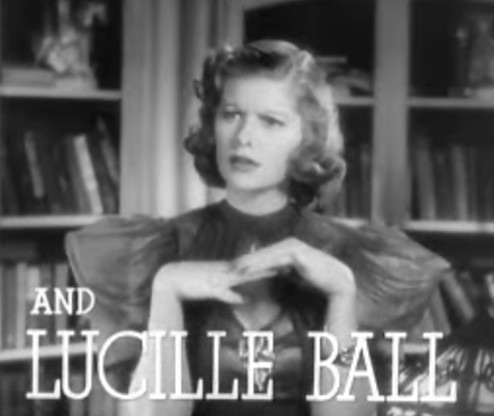 But she didn't produce much memorable work, and wouldn't begin appearing on the radio show that eventually became I Love Lucy until she was in her late thirties. Comedian, actress and author Sedaris was living in her native North Carolina at 25, still a few years away from discovering comedy, moving to Chicago and joining the Second City improve troupe, where she would meet key collaborator Stephen Colbert.